After visiting Bangkok, we headed on to the lovely, quieter, quainter city of Chiang Mai. Known as one of the best cities for digital nomads, Chiang Mai is as charming as Thailand can get! 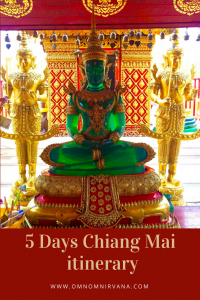 Our Chiang Mai itinerary only lasted for 4 days, however, this itinerary includes things you can do for for up to 5 days in Chiang Mai, complete with location maps. I hope you enjoy it! 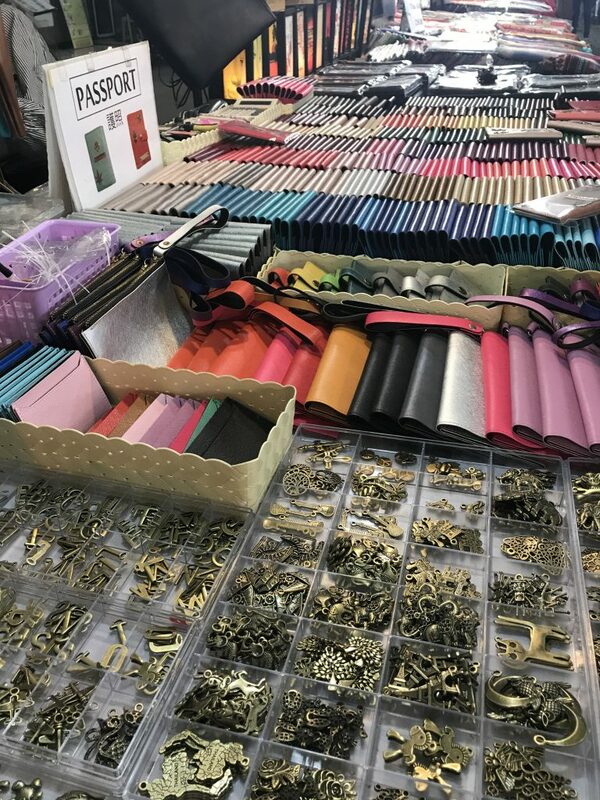 If you happen to land around the evening on a weekend in Chiang Mai, then you need to head out to their weekend markets. Contrary to popular belief, there are actually two bazaars that you can hit on any given Saturday and Sunday night. If you’re a fan of food, you need to check out the street food by one of the entrances of Chiang Mai gate on Wua Lai road. 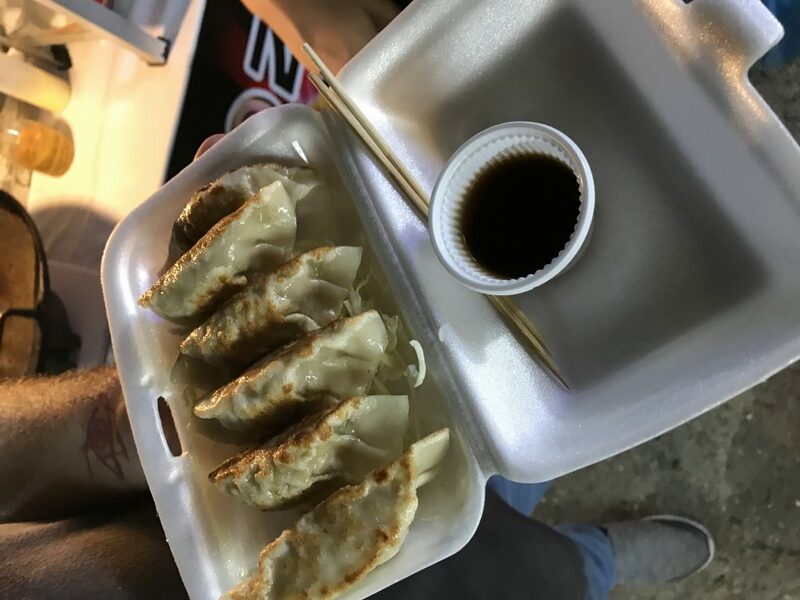 Indulge in a host of different foods – from classic burgers, to delicious bowls of pad thai, plates of takoyaki, gyozas, teriyaki and even roti bananas as an halal option. I was really happy to see a couple of vegan and vegetarian options. If you’re on the healthy eating train, they have the most exotic fruits- from dragonfruit to baby pineapples and even the freshest longan, depending on the season. If you’re a fan of seafood, you will be astounded by the amount of reasonable seafood options you will have that are grilled to perfection on order. They also have a few souvenirs on sale, but this place is mostly about the food. Head here around dinner time. Now this one, I hear is quite a nice market and a must-do on your Chiang Mai itinerary if you are heading there on a weekend. We missed it, but a lot of people have told us great things about it! This market has a lot more trinkets on sale, in addition to some really nice massage places as well. You might occasionally even spot some musicians on the streets. I highly recommend you walk almost everywhere in Chiang Mai, it’s very charming! If there’s one heck of a touristy night bazaar- this is one. Expect to find every trinket, bits and bobs as well as touristy souvenirs that you might need. You do need to bargain a bit here and there, but don’t expect significant mark downs. In the beginning, you might find things that are way too similar, but walk on and explore the place and you might end up finding something you love! Rent a taxi for the day and head on early to Doi Suthep. The taxi will drop you at the base, where you will need to take a bunch of stairs to get on top. The view is supposedly wonderful, but the day we went, it was full of mist that did not lift. Tour this gorgeous temple complex and try not to take photos of the adorable dressed up kids there, because if they see you they will ask you for money and harass you to no end until you do so. 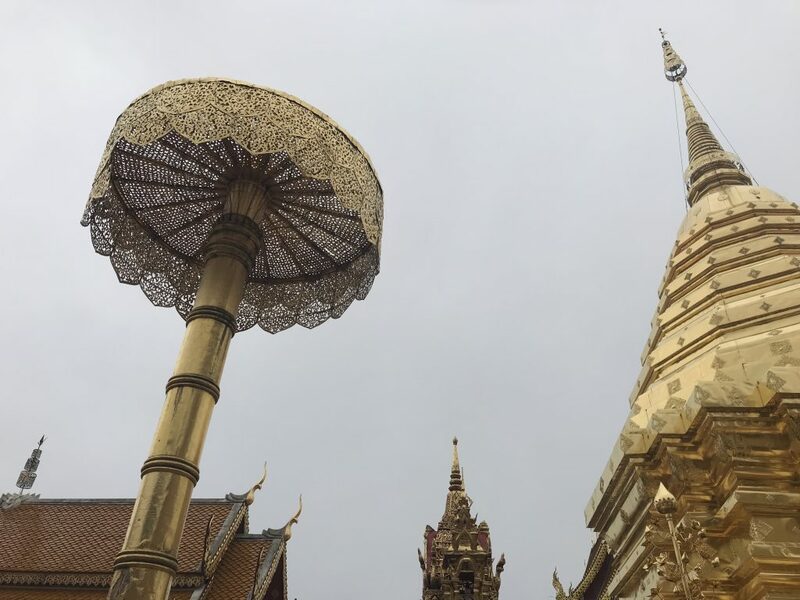 When you get on top, prepare to be amazed by the gorgeous Emerald Buddha statue, the massive columns and just the sheer beauty in religious art at every turn. This trip will take you roughly 2-3 hours, so take your time to leisurely stroll the area and observe some Buddhist monk blessings. 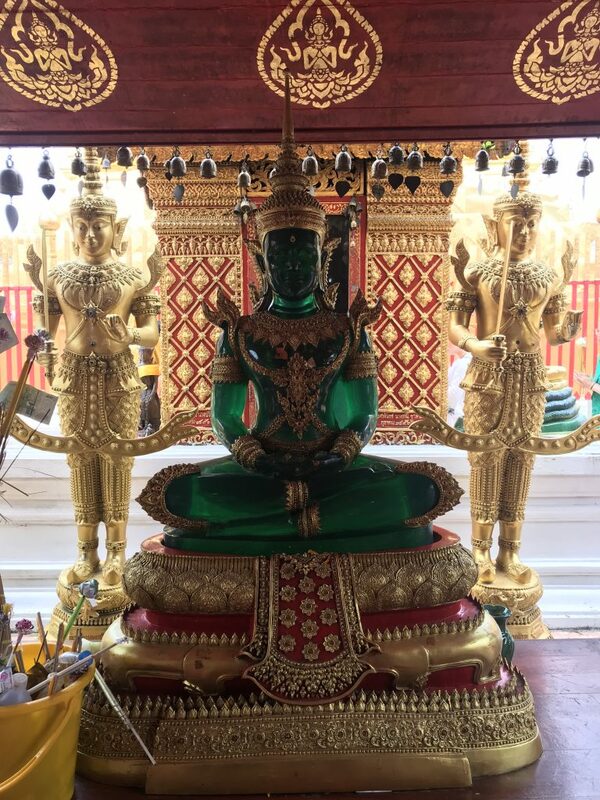 If you want to pick only one temple to visit on your Chiang Mai itinerary, then let this be it. Mama Noi cooking school is nothing short of charming! As a relatively new culinary traveller, this was literally my first cooking class outside of Dubai. (If you want to see an Arabic one, check this out) As Thai food ranks as no.1 on my favourite cuisines, I couldn’t help but sign up for one. There are many available online, but we decided on Mama Noi Thai Cookery School. 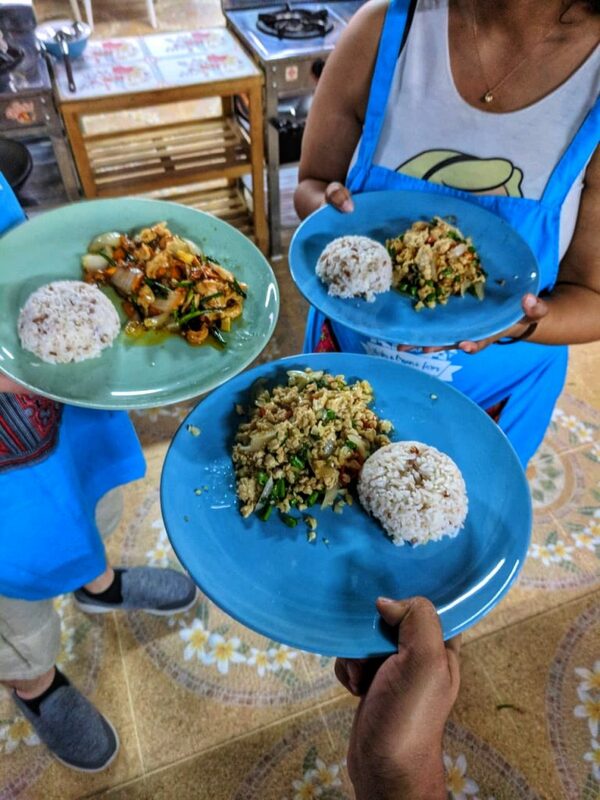 A half day class cost us 800 baht (US$24) and it includes a pick and drop off to your hotel, a tour of a local farmer’s market with an orientation on Thai food ingredients, the 3-course cooking class and a cook book to take home. They take photos of you during the entire experience and upload it on their Facebook page the next day, so you don’t have to lug your camera or phone around during the class. The cooking school is located in the countryside in a charming farmhouse teaming with dogs. During the cooking class, you are faced with plenty of options to choose from – starting from mild to Thai (extremely spicy) options. We made a soup, Thai curry and stir fry. At the end, we also learnt to make a nice chilled Thai tea to waive off the spice. This was probably one of my most enjoyable moments on the trip. The Elephant Nature Park is a lovely sanctuary in Chiang Mai for elephants. Contrary to A LOT of other spots, this place is truly one where elephants run free. 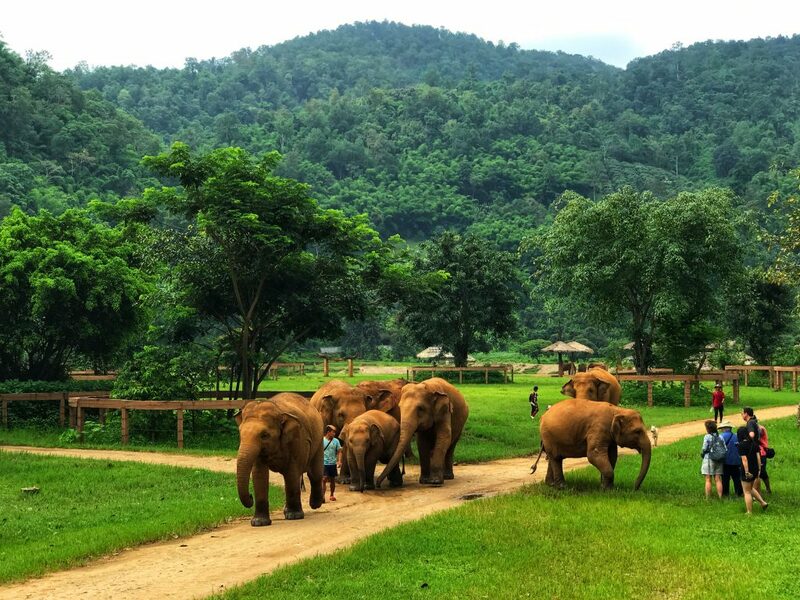 Before you choose going to an elephant sanctuary in Chiang Mai, you need to look into a lot of reviews before you do so. For some people (especially in Chiang Mai), the definition of a sanctuary can vary greatly. Opt for one where none of the elephants are chained/hooked and where people cannot ride them. No, not even the mahouts. The Elephant Nature Park is one such park that ticks all the boxes. It runs only on donations, so it does lie on the more expensive elephant sanctuaries in Chiang Mai (About USD$75 per person for a half day). Most of this money is used to take care of the elephants, dogs and cats that form part of the shelter. Elephants eat tons of food everyday and so, costs are up. They also use the money to buy elephants from circuses and from the logging industry. This is the first time I was introduced to elephants in this light. Suffice to say I found it hard not to breakdown after seeing how some of them have been mistreated in the past: from broken backs from timber logging, to being blinded by flash photography, you will learn unique stories and backgrounds from all of them. Please listen to the instructions given to you by the guides or you will find yourself injured. Approach all of them with caution, as some of them may get antsy. The ticket does include transport, a session of feeding the elephants, meeting some rescues as well as a vegan meal. The trip starts at around 7.30/8am and ends by 4pm. There are quite a few places in Chiang Mai that are perfect for nightlife, but everything shuts down by midnight. Popular joints include Zoe in Yellow, Pentatonic Rock Bar and Rock Roots Reggae all located in the same area. This was really close to our hotel! Some of the other alternatives is this lovely jazz club called The North Gate Jazz Co-Op as well as a rooftop Rasta-bar called THC Rooftop. 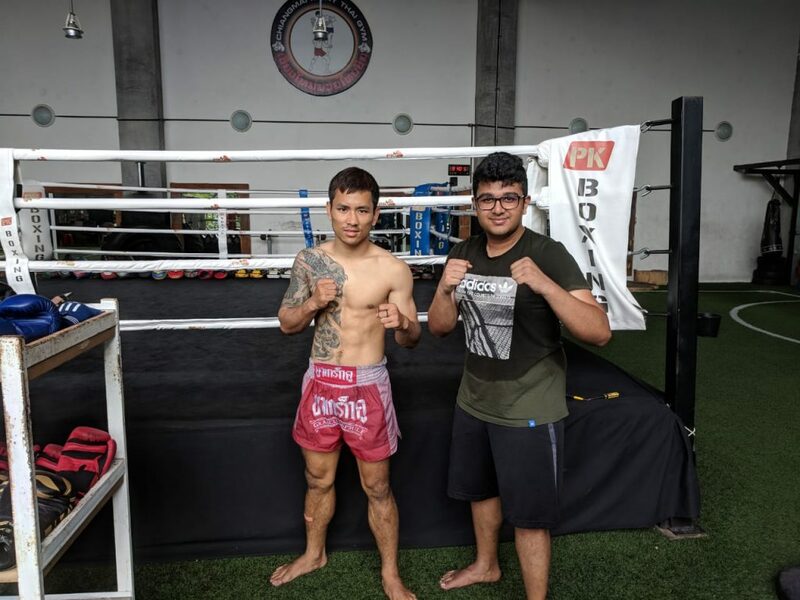 If you’d like to try your hand at Muay Thai, then you should head over to Chiang Mai Muay Thai gym. This gym even offers muay thai visas for those that want to take it more seriously. They have classes in the mornings and evenings. Each class costs around USD$12. In terms of massages, you have plenty of options. Chiang Mai is much cheaper than Bangkok when it comes to massages. A massage I particularly recommend is the one at Fah Lanna Spa. You will need to book this place in advance. On the other hand, all other places are walk-ins. A sak yant tattoo has spiritual gravitas, so getting one is not recommended for everyone. A sak yant tattoo is a personalised tattoo of a Buddhist prayer administered by a monk. While monks are only allowed to tattoo men, there are also some former monks who tattoo women. These tattoos are administered on a consultation and understanding of what you want from life. Multiple travellers I’ve met and know who have sak yants have called it quite a transcendental experience. Keep in mind that you won’t always have a choice on the size or design. A sak yant consultation costs approximately USD$60-75. Here’s a place you can get one in Chiang Mai. I missed this on my stay, but this trek in Doi Inthanon Park is supposedly phenomenal and something on my roster for the next time I visit. It has cool weather, waterfalls, great vantage points and more and is perfect for nature lovers. We stayed at Lanna Tree Boutique Hotel within the old city. This place is extremely convenient as almost all the main sights to see were within walking distance. In addition to this, it’s extremely close to the nightlife Chiang Mai has to offer. 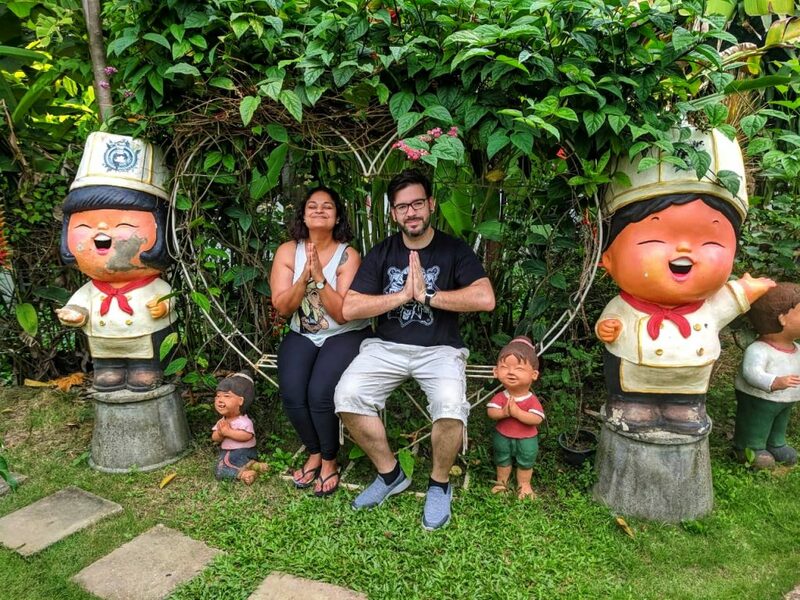 I hope you enjoyed this Chiang Mai itinerary! If you’re looking to backpack to different parts of Thailand, check out this backpacking route! Make sure you pin this for your trip.